A significant proportion, 43%, of the parishes of the Church of Scotland are classified as rural. It has been identified that within these communities there are opportunities and challenges which are specific to the rural context. The Church of Scotland Rural Working Group works within the Congregational Learning Team of the Mission and Discipleship Council. Contact Hannah Sanderson who is pleased to hear from anyone with an interest in rural church. 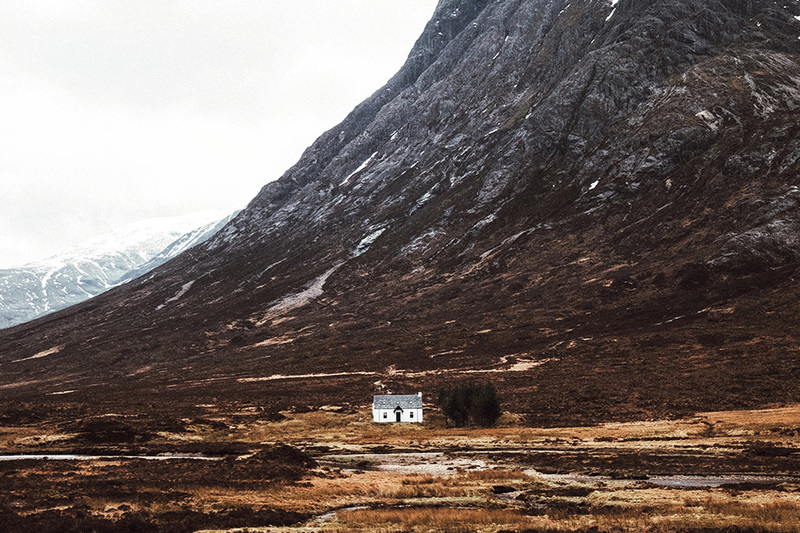 Last summer, the Church of Scotland’s Rural Working Group joined Sanctuary First to present a conference aimed at rural congregations, demonstrating how to use technology to connect. The conference was filmed, and the sessions are now available on the Church of Scotland YouTube channel . Following a short introduction to the Rural Working Group, this short series offers insight into different areas of Live Streaming with expert advice from the team at Sanctuary First, as well as stories from local congregations. The following sessions offer advice and reassurance that your church too, can connect and create its own Digital Footprint. It has long been recognised that there was a need to provide an evidence base about these opportunities and challenges in order to effectively resource and inspire our rural congregations. In response, the Rural Working Group (RWG), operating within the Mission and Discipleship Council (MDC) of the Church of Scotland (CoS), recently engaged in a nationwide consultation process. There are many instances where rural congregations are still seen to play a positive and central role in their community, and this represents a significant missional opportunity in which they must be supported to nurture and develop. There are significant challenges being faced by rural congregations such as: a poverty of resources (both financial and personnel to take on key office bearer roles); large and/or remote geographical locations which are difficult to cover, can create issues of isolation and experience significant population shifts; and detrimental policy, e.g. large multiple linkages which produce logistical issues. This newly produced resource from the Rural Working Group is intended to be a helpful guide for session clerks, ministers and office bearers seeking to make a parish church operate effectively. It takes account of circumstances where certain skills may be in short supply. It does not cover every eventuality, but addresses a number of issues often encountered by rural congregations. In direct response to the findings of the consultation the RWG has created a new Quickguide on how to set up Rural Events. This Quickguide takes you through the process of planning an event and can be used for setting up a local rural forum in your area. It could also be used for day conferences or large meetings. One request the RWG gets more than anyother is help with streamlining governance. We have been working with the General Trustees Department to put together a helpful document. The document lists the 12 enquires the General Trustees Department get asked most often and their answers. It also contains helpful signposting to further information and the right people to contact. Although it is only a general guide we hope it is helpful to you. Download the the general guide to the General Trustees. The RWG is keen to raise the profile of the rural church, champion its concerns and publicise its success. 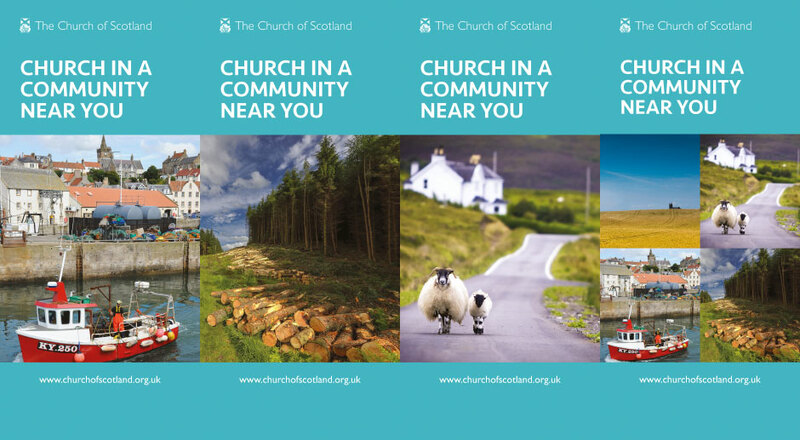 We have created four bright pop up banners with the inclusive headline “In a community near you” These banners can be borrowed from the central offices to be displayed at any event, urban or rural to remind people of the presence and impact of the rural church in Scotland. PA, 2 x wireless mic, projector, HDMI cable, external DVD, laptop, extension cable, and tie clip mic. A user’s guide with all the instructions required to make use of the equipment is included in the resource box. We also have a lively Facebook page where we are building an ecumenical network for all to contribute and share. The page is a public group entitled ‘Rural Churches in Scotland’. The Rural Working Group is part of Mission and Discipleship Council. Every month the M+D Council send out an e-newsletter. You can sign up to receive this newsletter. God's Own Country is an exciting resource, prepared by the Church of Scotland, for rural churches. It has been designed to engender practical action and to affirm, encourage and inspire those in rural congregations as they seek to be effective disciples of Christ in their particular context. The Church of Scotland Rural Working Group works closely with the Scottish Churches Rural Group (SCRG) which was formed in 2005 as an associated ecumenical group of Action of Churches Together in Scotland (ACTS) with membership drawn from the Church of Scotland, the Scottish Episcopal Church, the Methodist Church, the United Reformed Church, the Congregational Federation, the Roman Catholic Church, the United Free Church of Scotland, the Salvation Army and the Religious Society of Friends.The group works to facilitate pastoral support for churches in rural communities, to exchange and facilitate discussion, to work ecumenically, to comment upon rural policy proposals and to act in partnership with key individuals and organisations addressing the rural issues of Scotland. The group has addressed issues in agriculture, fishing, crofting, migrant workers and rural ministry. A sub group of SCRG is responsible for an inter-denominational church presence at The Royal Highland Show (RHS). The show provides a significant window on rural life in Scotland and the regular ACTS stand serves as a gentle reminder that the Christian churches are an integral part of that. Regular visitors include the Moderator of the General Assembly of the Church of Scotland, key exhibitors of livestock, stands, and many families. Perhaps, most importantly, many come to celebrate, enquire and reflect upon the wonder, joy and beauty of all that God provides to the heart and soul of rural life. The SCRG was also involved in the development of the Scottish Pilgrim Routes Forum of which the Church of Scotland is a member. Recognising the significance of pilgrimage travel and faith tourism, this group aims to be a focal point for discussion and development of Pilgrim Routes within Scotland. The Rev Richard Baxter is the Minister for Fort William Duncansburgh MacIntosh linked with Kilmonivaig. Richard, native to Northern Ireland, had previously been the minister of St Kenneth’s, Kennoway Windygates & Balgonie in Fife for eighteen years but now very much enjoys the rural delights of the Presbytery of Lochaber. Richard is currently a keen member on the Church of Scotland Rural Working Group and has been asked to contribute a series of bible studies for Life and Work the Church of Scotland Magazine. The series focuses on People on the Move. You can find the first published studies here with more to follow.